A 1940s very simple card game based on snakes and ladders. 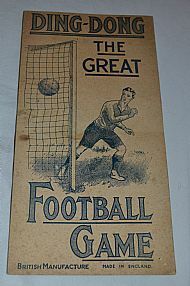 Seems to be near identical to the similar game League Football. 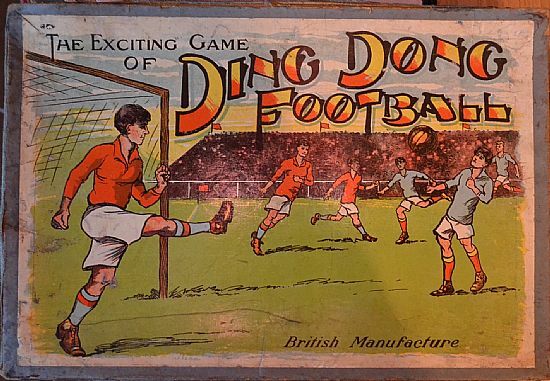 A boxed version of the Ding Dong board game. Box crushed and repaired. 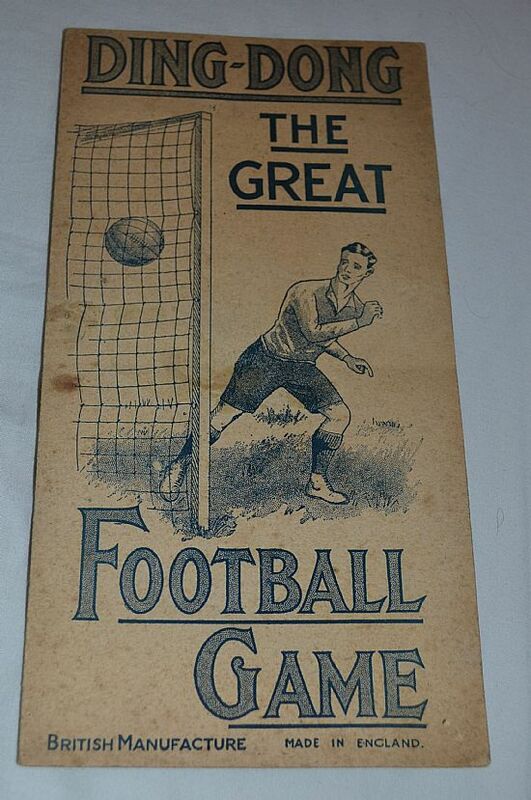 Nice simple wartime game, printed on card and possibly a comic or magazine giveaway. 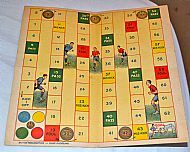 A classic snakes and ladders type board with printed counters. 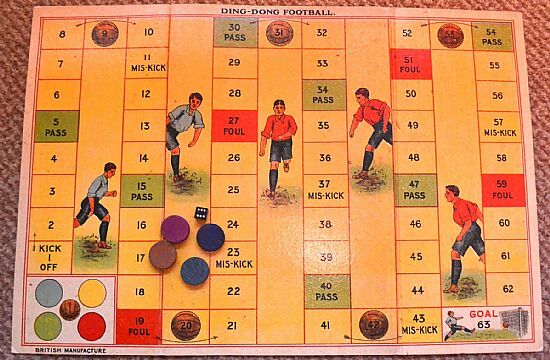 Not too imaginative forfeits or penalties! The counters were printed onto the side of the board to be cut out and used. 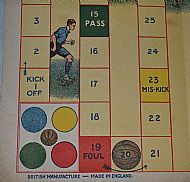 The playing board from the boxed version of the game.